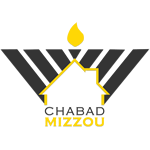 Want to keep in the loop on the latest happenings at Chabad Jewish Center of MU and Mid-Missouri. Subscribe to our mailing list below. We'll send you information that is fresh, relevant, and important to you and our local community. Join us for an inspiring, engaging, thought provoking and fun Seder. Our Seder features a delicious dinner, insights, singing, four cups of wine, new friends, horseradish, charoses and Matzah galore. Experience the liberation and freedom of Passover. Discover the Seder's relevance today!